A Skills® consultant provides in-person initial training / setup and follow-up to ensure that school staff are maximizing the potential that both CARD eLearning and Skills can offer them. 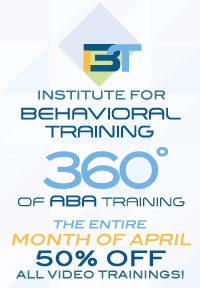 CARD eLearning™ provides foundational training in applied behavior analysis (ABA) and autism to teachers and assistants, equipping them with the knowledge they need to begin implementing ABA-based teaching techniques with students with autism and related disorders. eLearning trainees can obtain continuing education units (CEU's) and certification for the training they receive. Staff can obtain BCBA mentorship from BCBA clinical support staff. Additional fees apply. Additional fees apply. Skills provides access to the most comprehensive assessment and curriculum in the world for students with autism, as well as the ability to track progress both at the level of the student and the teacher. Teachers will enjoy the extra goodies that Skills provides, such as lesson plans, teaching guides, visual aids, worksheets, tracking forms, IEP goals and benchmarks, and access to online support. Teachers can keep track of each student's skill acquisition, both at the operant (exemplar) level and at the activity level. Teachers can also keep track of the effects of challenging behavior and alternative treatments on each student's progress. Teachers can track "known" skills (via the assessment) and newly mastered skills (via the treatment plan), and can visually examine each student's progress on a selection of different progress-tracking charts. Administrators can view and compare the performance of teachers taking CARD eLearning as well as contrast the performance of the students (enrolled in Skills) assigned to each teacher or contrast the teachers' effectiveness in relation to one another with their students. © Center for Autism and Related Disorders, Inc. All rights reserved.